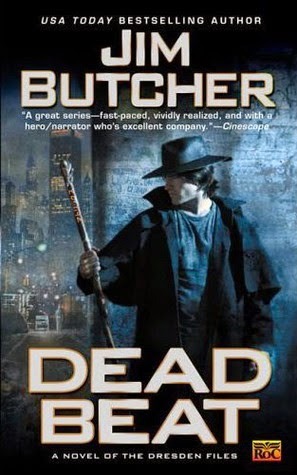 I am not really sure why it took me so long to read the second book in the Dresden Files series by Jim Butcher. I really enjoyed the first book when I read it years ago. I really shouldn’t have waited so long. Fool Moon finds modern day wizard Harry Dresden in the middle of a grizzly murder investigation that involves werewolves. With several different people hot on this trail and wanting him dead, Harry must find a way to save his own skin as well as save the day. I like the way Jim Butcher has drawn Harry’s world through words. Harry is a down to earth and likeable character. The Dresden Files series is urban fantasy at its finest. Grave Peril opens with Chicago’s very own wizard, Harry Dresden, and his friend Michael the knight on their way to the hospital to stop a ghost from reeking havoc. The third novel in the series is action packed and suspense driven as Harry lands himself in one life-threatening situation after another. Ghosts and vampires abound in Grave Peril. With Harry’s friends at risk, will he be able to sort through the clues to figure out who is behind the city’s recent supernatural problems before it is too late? I held my breath several times throughout my reading of this book. It was exciting at every turn. My only complaint is that I felt somewhat lost in the beginning, which was perhaps part of the point, as I wondered if I had skipped a book in between this and the one before it in the series. Wizard Harry Dresden faces certain death if he does not uncover the identity and motive behind the murder of the Summer Knight. Not only is he compelled to solve the crime because of the hold the sidhe Winter Queen has over him, he also risks expulsion from the White Council into the hands of the Red Vampires. With the help of friends, including an unexpected face from his past, Harry just may have a chance. Summer Knight was exciting and suspenseful. 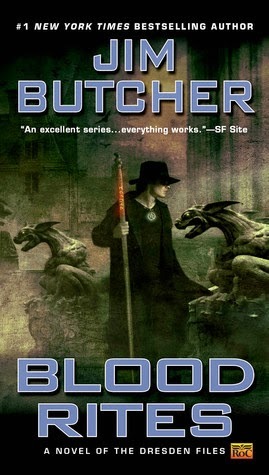 Jim Butcher’s books are hard to put down because the action is nonstop. Sometimes with so many characters the pages get a bit crowded, but the story always comes together in the end. Summer Knight has put me in the mood to start on the next book in the series right away! Modern day wizard, Harry Dresden, is called upon to fight in a duel to the death with the Red Court of Vampire’s champion in order to save his friends and create a neutral area during the war between the vampires and the wizards of the White Council. In between preparations for the duel, Harry is tasked with finding the Shroud of Turin, only to learn that he isn’t the only one looking for it. Susan and the Knights of the Cross come to Harry’s aid in fighting off assassins, searching for the shroud, and in fighting in the duel. As I’ve come to expect of the Dresden Files books, Death Masks was nonstop suspense and heavy on the action and magic. Jim Butcher knows how to tell a gripping story that has yet to disappoint. Asked to do Thomas a favor for a friend, modern day wizard Harry Dresden goes undercover in the adult film industry, trying to uncover who is behind a deadly curse that seems to be attacking women involved with the latest movie project. Harry also has his hands full when he discovers that the Black Court Vampires are in town. He’s determined to find their lair and destroy them. Blood Rites is fast paced and wild ride as Harry comes up against strong foes and learns a family secret that will change his life forever. 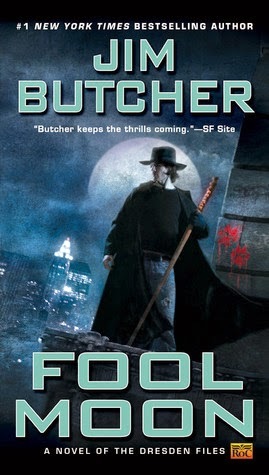 Jim Butcher’s books keep getting better and better as the series continues. Although Harry’s a fairly open person as narrator of the Dresden Files books, Blood Rites added a more in-depth personal touch that goes straight to the heart. Dead Beat, the seventh book in the Dresden Files series, was rich with action and subject matter. Harry takes on powerful necromancers who are using black magic; he must locate the Word of Kemmler or else Marva of the Black Vampire Court will ruin the reputation of one of his closest friends; and Harry struggles with a new inner voice that he must decide to trust or not. Some of Harry’s old friends (and not so much friends) make an appearance: the local werewolves, Queen Mab, Butters the mortician, the Wardens from the White Council, and Harry’s brother Thomas. Jim Butcher delves deeper into Harry’s psyche as he juggles with right vs. wrong, realizing that not everything is black and white. Harry has always bent the rules and has never claimed to follow the righteous path, however, his aim and motive are always good. Harry learns much about himself in this novel, and it is my favorite of them all so far. As usual, Jim Butcher has demonstrated his talent at putting together a suspenseful and nearly impossible to put down novel. Dead Beat is fast paced, action packed and one wild ride. My husband read another set of books by Jim Butcher that I can't think of right at this moment and he liked them a lot. Anyway, I told him that this author had another series about a wizard. We'll see if he likes the first one. A little outside of his usual reads, but as I read about your experiences, might not be outside of mine. I have the first four books of the Dresden Files in my library. This last year a boy checked it out for a friend and then forgot about it. He got angry with me when I asked him for it back and said he'd never checked it out, blah, blah. It became a bit of a contest of wills. then his friend turned it in months later and the picture became clear. that is my Dresden file story. HA! Thanks for visiting my blog. Do you ever visit your relatives in Puyallup? What a small world. Anne - I am glad the book finally made it back. :-) I haven't been to Puyallup. Our relatives there more often come down this way when we do visit. I remember I read the first book and really enjoyed it but for some reason I just never got around to keeping up with the series. Looks like I've been missing out! Glad to hear it has continued to be a good one. I wonder how many books there are now. Iliana - It's such a fun series. I'm always wondering how Harry even has time to breathe. I just love Harry. There are 16 books out in the series, I believe. Don't hold me to that. I've only read 9 of his books so far. I just picked up Storm Front from the library recently, and though the first few pages drew me in, I got a message from a Goodreads friend that he HATED the series. I'm ashamed to say that it turned me off for a couple of weeks. I need to give it a fair shake, I think. Shaina - I'm sorry to hear that. I know my husband enjoyed the first book, but wasn't too impressed with the series after that.